After a huge gift fiasco when Kevin and I first started dating, I've learned to be quite particular in my accessory purchases. Every individual has their own unique style and tastes. Trying to guess or pick what someone else likes can be a total disaster. Not really into certain styles myself, I rarely find myself wearing watches. So when I was asked to review a unique style of watch, I was more-so interested for Alana. 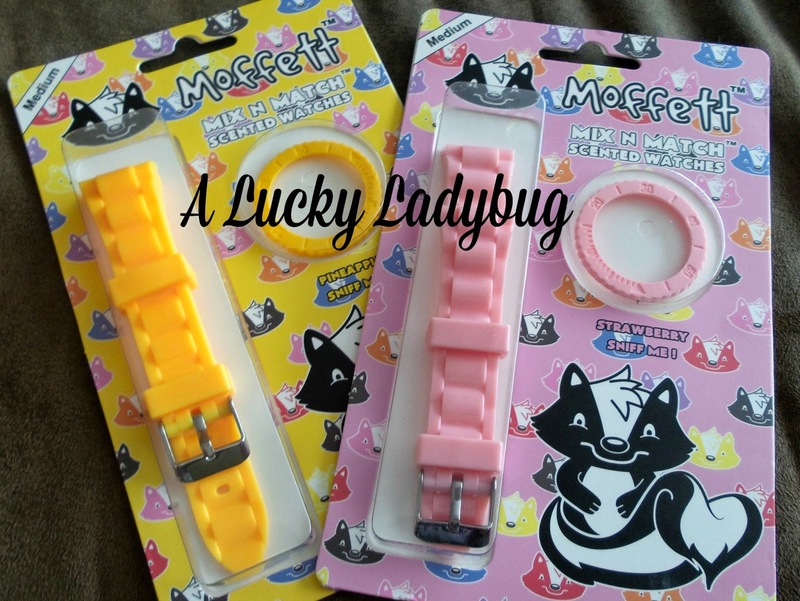 Moffett watches are scented watches based on a childlike story of a unique skunk named Moffett with special abilities. I picked the Coconut/Orange Starter Pack plus the Pineapple and Strawberry Mix and Match Packs. You can easily exchange your watch straps and scented bezels to create a unique style and something yummy smelling depending on your mood! When these first arrived you could smell them as soon as we opened the package. The boys were obsessed almost instantly and fought over who was going to have a chance to wear it. I loved that the smells were realistic and not the plastic, fake smells which normally make me sick. I have to say that although they smelled absolutely wonderful, they almost smell too good. With all the dieting and healthy eating ive been doing these were difficult for me to wear myself as they only made me hungry. I do however suggest them for those who wear fruity perfumes because it helps enhance the smells. Recommendation: I think these are great and inexpensive too! I don't know if I would recommend this for every day use however it makes for the perfect gift for any young adult, teenager, or child. 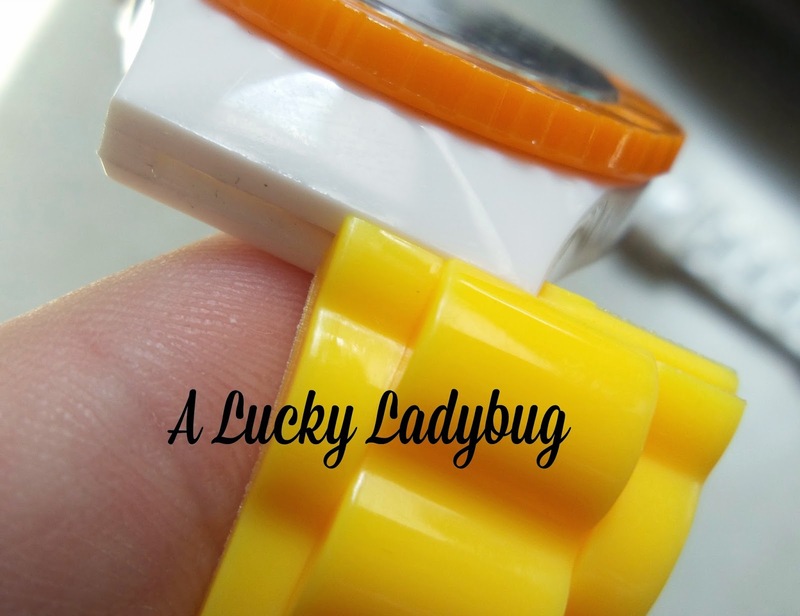 Giveaway: Moffett Watch is going to give one of A Lucky Ladybug's lucky readers a one Starter Pack and two Mix and Match packs to have of their own! I think I'd like the white starter pack with coconut and orange for my niece. "RUBY YARBROUGH / ORANGE & WHITE COMBO. I like the Watch starter pack - black currant & candy apple. I like the orange and white combination. I would choose Black Currant and Candy Apple for the starter pack. I would choose the strawberry and the grape for the mix and match set. The orange and white starter would be great. Hate to match what everyone is saying, but my daughter would like the colors and scents of the orange and coconut starter pack the best. 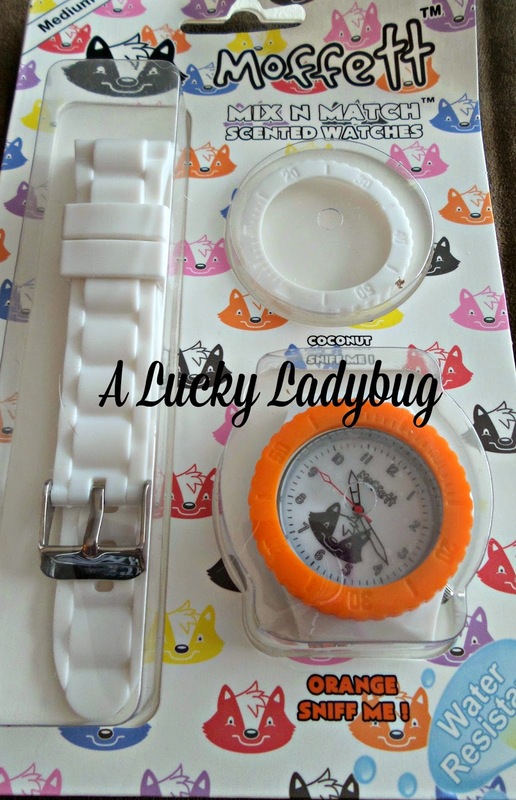 I would love the watch starter pack - coconut & orange. I will choose the black currant & candy apple starter pack with strawberry and grape mis and match packs. I would choose the Coconut Orange Starter Pack and the Strawberry and Apple Mix and Match Packs. I visited Moffett Watch and the starter pack I would choose would be the watch starter pack - coconut & orange. The 2 mix and match packs I would love would be the grape and strawberry scents. Coconut & orange starter pack for me! The grape & strawberry is also great. 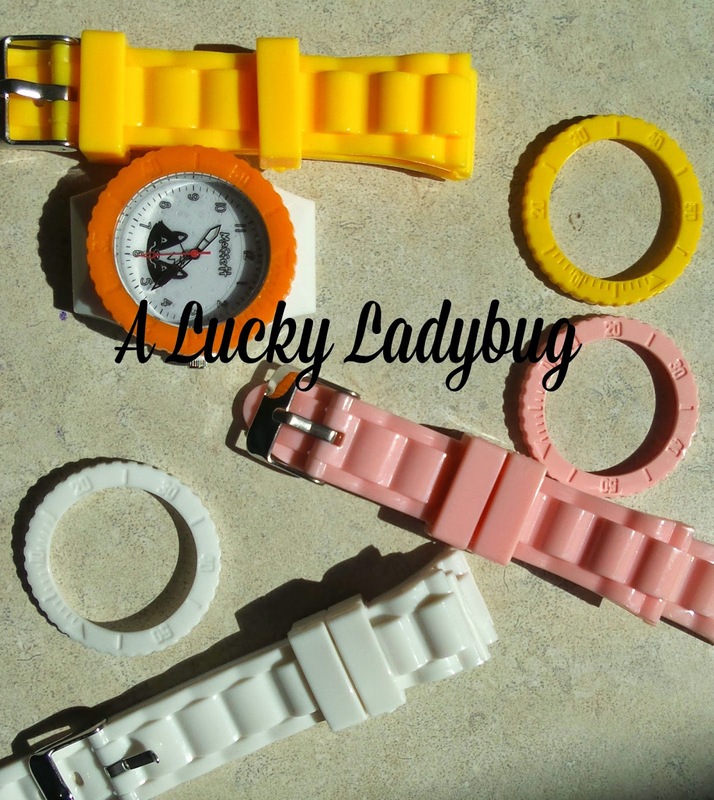 I LOVE the coconut white watch and I would choose the red and orange color bands! black currant and grape scent! I would get the Watch starter pack - black currant & candy apple, and the Strawberry and Pineapple Mix and Match Packs. I like the watch starter kit with coconut and orange. I would choose the Black Currant and Candy Apple starter pack with the Coconut and Pineapple mix and match packs. What a cute idea! I would choose the coconut & orange starter pack! Those scents are perfect and a make you happy! I love citrus scents and coconut reminds me of paradise. My watch starter pack would be coconut + orange. The 2 mix and match packs I would choose would be Strawberry + Grape. id like the black currant & candy apple scented watch oack. i would like the coconut and orange. I would choose coconut and orange for both. I like your growing into green posts. I especially like the gardening posts.